Peak Asset Management is a boutique investment management and corporate advisory firm. We connect you with Australia’s most attractive and exclusive corporate opportunities. Our track record speaks for itself, having backed some of Australia’s best performing corporate deals over the last 12 months. Our underlying Philosophy is that we invest your money as if it’s our own. That’s why we only recommend opportunities that we invest in ourselves. In everything we do, we co-invest alongside you. Peak investors entered at a Pre-IPO price of $0.10 and an IPO price of $0.20. G88 has reached a high of $1.27 on significant volume. SP3 has developed a stand-alone monitoring and security system designed for all non-powered and construction sites. Peak investors entered at $0.20. SP3 reached a high of $0.47, up 135%. AVZ is a mineral exploration company focused on developing the Manono Project, potentially one of the world’s largest lithium-rich LCT (lithium, caesium, tantalum) pegmatite deposits. We entered at $0.02 with a 2 for 1 option. The underlying stock recently reached $0.29. Peak was lead manager for LSH which develops and commercialises medical diagnostic and monitoring technology to instantly diagnose, monitor and manage chronic diseases & skin diseases using your smartphone. Peak investors entered at a Pre-IPO price of $0.10 and an IPO price of $0.20. LSH closed on day 1 at $0.40 on volume of ~6.4m shares. TYMLEZ solves enterprise problems of security, trust, scalability, and errors through its Blockchain-as-a-Service (BaaS) platform. This is an exclusive Pre-IPO opportunity for Sophisticated and Professional Investors. Peak will be the sole lead manager for the ASX IPO in 3Q18. CFO produces next generation carbon products, designed to meet growing demand for ultra-high performance engineering materials in the military, industrial, aerospace, and commercial product markets. Peak investors entered at the IPO price of $0.20, closing on Day 1 at $0.70 or +250%. Candy Club is a leading D2C candy subscription brand delivering premium candies at exceptional value. The Company generated US$9M in revenue in CY17, with the Company poised for it's next leg of growth via B2B and scaling D2C operations. Peak have been appointed Lead Manager for the ASX IPO, targeting November/December 2018. LPI is a diversified pure-play lithium explorer with focus on exploration of prospective lithium regions across Western Australia and South America. Peak investors entered at the IPO price of $0.20 and has traded strongly since listing, with a high of $0.50 or +150%. SW1 is a Digital Entertainment business that provides fully integrated solutions to the resources sector, with continued penetration of larger verticals such as the Hospitality, Lifestyle Village and Aged Care sectors. Peak investors entered at $0.15 at IPO, reaching recent highs or over $0.55. 8CO is a global software product company that delivers productivity software and blockchain solutions. 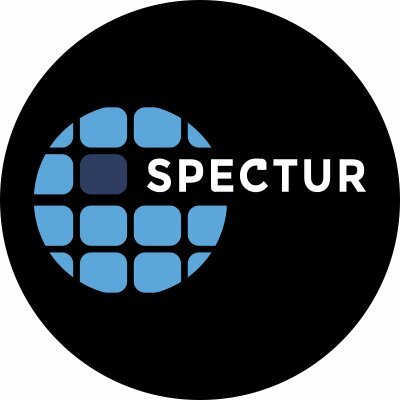 Peak investors entered at the placement price of $0.03 and again in the Rights Issue Shortfall at $0.03, with free attaching options. 8CO reached a high of $0.071 just weeks after Peak's involvement, with consistent trading above $0.05. 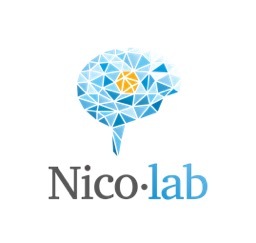 Nico.lab have developed groundbreaking artificial intelligence technology that scans and recommends diagnoses for stroke patients. Their software is completely cloud-based and takes less than 30 minutes to integrate into hospitals existing hardware. Peak investors entered at a Pre-IPO price of $0.10 and plan to list 1H2019. Paradigm is an Australian biopharmaceutical company focused on bone marrow edema (BME) and respiratory diseases. PAR listed at $0.35, reaching a high of $0.62 within 12-months of listing, up +82%. OKR’s primary objective is to discover and develop gold resources on carefully selected gold projects with high-grade results. MRQ is a mineral exploration Company that is pursuing new opportunities such as Lithium and Cobalt. Peak investors entered at $0.005, with an attaching 1:1 listed option (MRQOB). MRQ and MRQOB have been trading above $0.008 and $0.004 respectively since Peak's involvement. WELLTEQ delivers corporate wellness solutions to large organisations, leading to enhanced employee engagement and productivity. Peak Investors entered in the Pre-IPO round at $0.08. Peak intends on listing the business on the ASX at $0.20+ in 2Q18. FZO gives customers control over what their kids are doing online, and when and where they are doing it. Peak Investors entered in the seed round at $0.07, before its listing at $0.20 ~3 months later and subsequent trading up to $0.35. At Peak, we invest right alongside you in each and every deal. You can be sure that we are managing your money like it’s our very own. We apply experience in senior positions at Macquarie Bank, UBS and Goldman Sachs to achieve the best outcome for investors. We must meet with management, undergo a full assessment of the business and liaise with our network of brokers, funds and institutions. The types of opportunities targeted, include: IPOs, RTOs, placements on the ASX, as well as selective seed opportunities. Our underlying Philosophy is that we invest your money as if it’s our own. That’s why each Principal not only co-invests alongside you in the Fund, but in each and every investment that the Fund makes. There is no management fee. Fees are only charged if performance hurdles are met. Your interests are aligned with ours. "Years in the business has taught me the difference between a good and a bad advisor. The bad ones will shove deals down my throat with no analysis. Peak will analyse and recommend according to each investor's needs. Peak’s first deal was a 35% day one profit, you can't ask for more than that! I look forward to many more well analysed Peak deals and thank them for the work done so far!" CoPeak have been a great co-investor and partner for us. Niv and his team do an excellent job of analyzing the deals before showing it to others. We invest with the full confidence that CoPeak’s interests are aligned with us. We are always open to looking at CoPeak’s deals and look forward to making more money with them in the future. CoPeak is professionalism personified. Every deal is carefully diligenced. Niv and team know how to structure and de-risk a successful transaction. It is a pleasure to work with them.